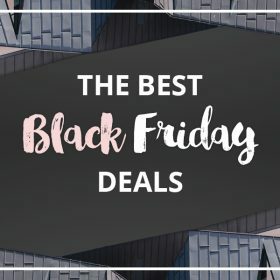 Look no further for Black Friday Clothing sales than this fashion search engine: your favorite stores and brands all in one place! Who doesn't enjoy a sale? The Black Friday Clothing sale brings an extra bit of joy to the end of your week as you're able to add a few more extra items to your basket than usual. Is there something you've had your eye on? Something new that you really need or some luxury fashion that you'd love to have? Well there ain't nothing better than a bargain and where best to shop the Black Friday Clothing sale than a fashion search engine? At Fashiola we're ready for cyberweekend! We've got all your favorite brands, shops, styles and sales in one easy-to-shop location. On this page you'll find all the discounted fashion products available online and for some extra deals check out what DISCOUNT CODES & sale information are available! Can Fridays get much better than this? Happy shopping!